In the new, rebooted DC animated movie universe, Aquaman was replaced by Shazam as a founding member of the mighty Justice League, but it was all done in order to give him his very own feature film. And while it says "Justice League" in the title, well, it’s all about the King of the Seven Seas. 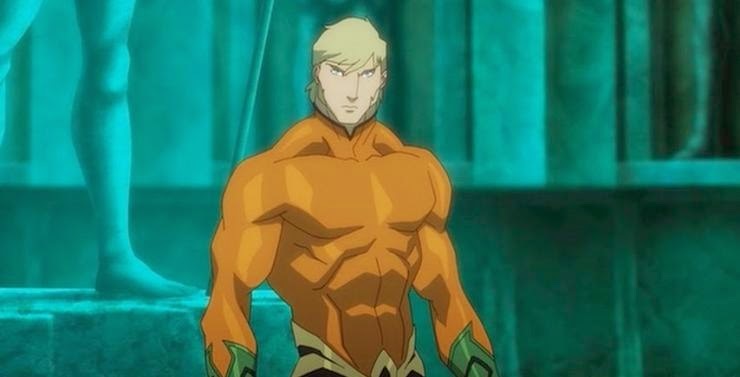 As Orm and Black Manta make their move against the surface world after the battle with Apokolips forces in Justice League War had deadly consequences for Atlantis, the queen of the lost underwater civilization searches for her other son, Orm's half brother Arthur. Living on the surface world with powers he doesn't understand, Arthur Curry steps into his destiny as Aquaman, teaming with the Justice League to save and unite all people of the world.